Size of this preview: 800 × 500 pixels. Other resolutions: 320 × 200 pixels | 640 × 400 pixels | 1,024 × 640 pixels | 1,280 × 800 pixels | 3,955 × 2,472 pixels. 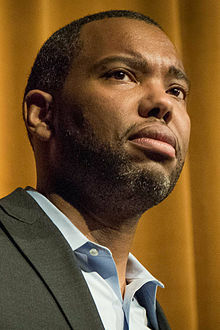 Ta-Nehisi Coates gave the keynote address during the MLK Celebrations at UVA on January 22, 2015.